1. 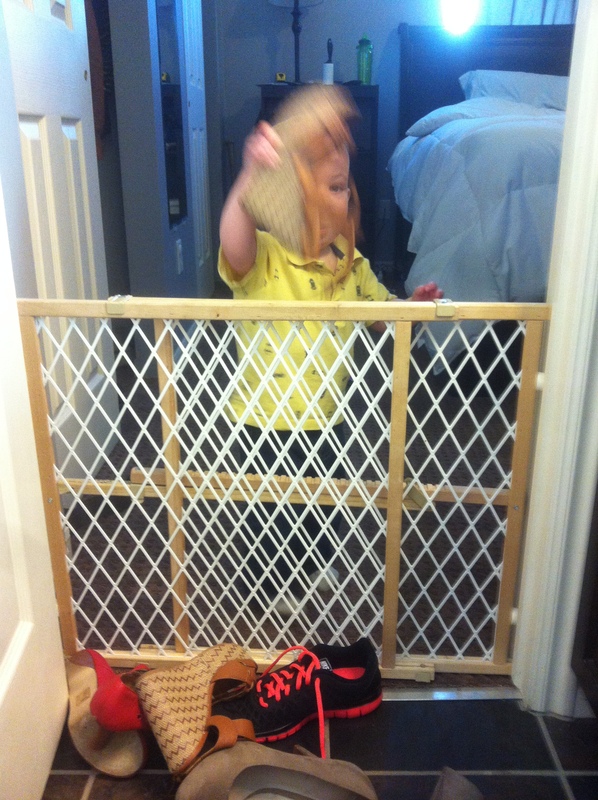 While I get ready in the morning I gate off the bathroom because J loves to play in the toilet. Lovely, I know. Everyday while I do my hair/makeup he empties my shoes from the closet into the bathroom while chanting, “shoes, shoes, shoes mom!” Yes, thank you, I wanted to wear them all today. 4. 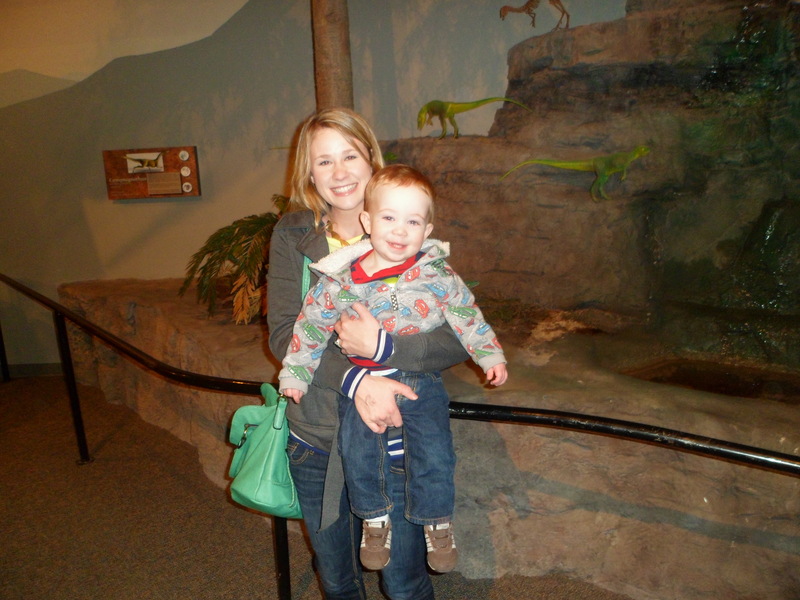 Couple of weekends ago we took J to the Dinosaur Museum. 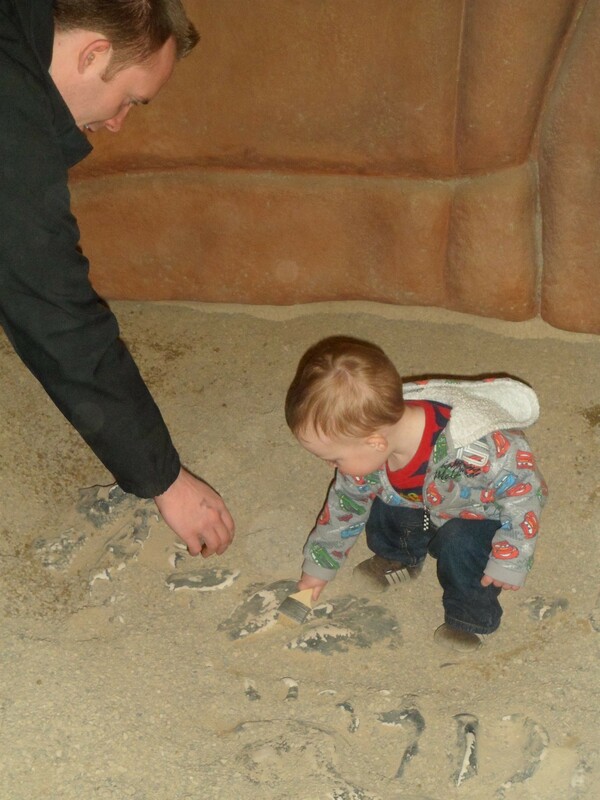 He had fun dragging us, his grandparents, and aunt along showing us all the dinosaurs. I love that he has his own personality and I think it’s so funny how into dinosaurs he his. This entry was posted in Friday Facts, Jackson and tagged Dinosaur museum, friday facts, Vegas. Bookmark the permalink. I have dinner plans with some friends tonight, and then doing some relaxing and cleaning this weekend! 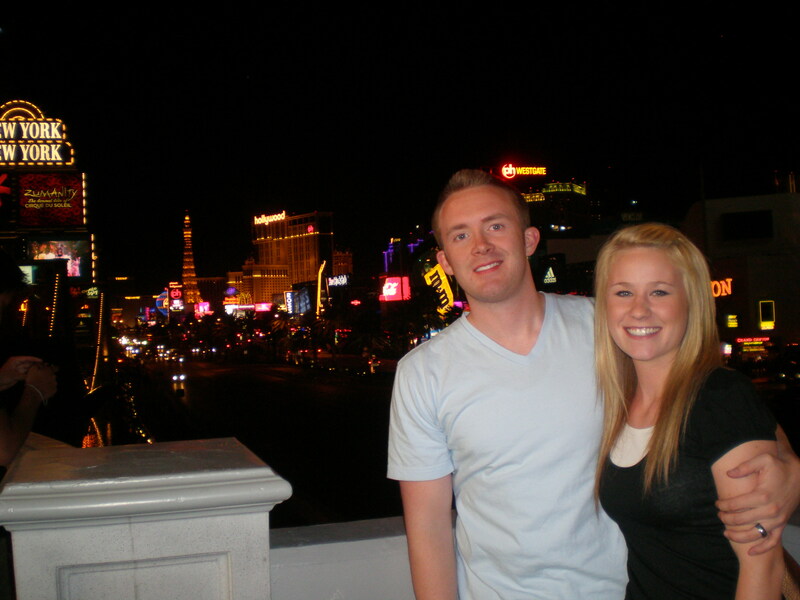 I’ve been to Vegas twice, and really don’t care to go back. Haha Ya once you see it, you’ve seen it! Ah, I love weekends like that, have fun! I’ve never been but want to sooo bad! 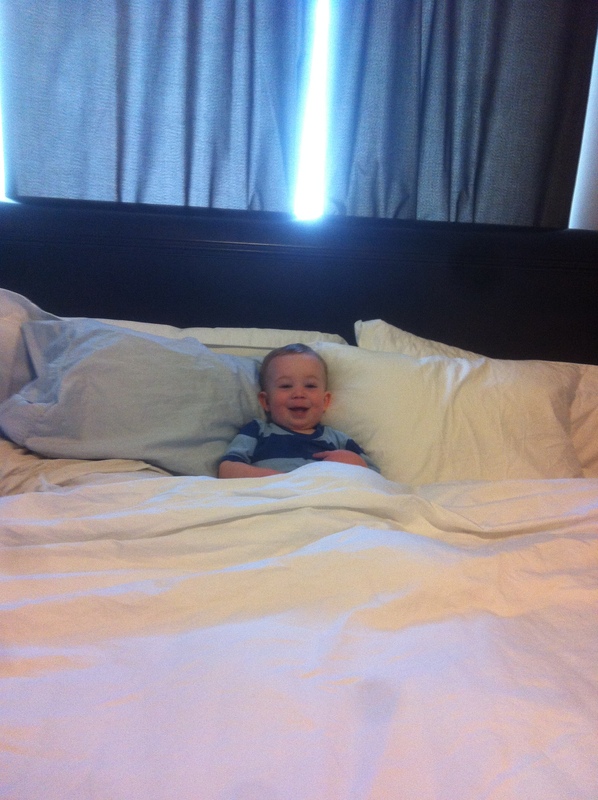 And Omg I can’t even handle that picture of him in the bed…sooo cute!! Hope you have a great weekend love! It’s a fun trip, I hope you’re able to make it. I hope your weekend is wonderful to! that picture of him the big bed is just so cute. I went to Vegas for a work meeting, the meeting itself was boring, but I loved walking around and seeing all the goofy things! Hope you have a wonderful wknd girlie girl! THanks so much! I hope you do to, listen to one of your songs during my run today, love it! I spent my 21st birthday in the hospital after throwing up blood! I was pregnant with Toby at the time. They asked me if I drank alcohol. I was like “um, not yet, but if you let me out of here, I’ll be legally able to!” Except for the Mormon part. Heh. Toby and I stayed at the Golden Nugget hotel in Vegas last year. Our hotel had a shark tank in the pool! It was really neat. Vegas scares me though. It seems like so much fun but then you get there and it’s all dirty and gross and not fun. Tricky “family friendly” lies. I feel like I MUST go to Vegas at least once in my life, to see what it’s all about! I love that J plays with your shoes, that is also one of B’s favorite activities while I’m getting ready. He also loves scarves. If you tie a scarf to a shoe, he will pull it around forever. Maybe keep that one in your back pocket.